Washington, D.C. – Tax Day has come and gone, but tax compliance and paying taxes weigh on small business owners and entrepreneurs everyday. At the state level, some states make it easy to deal with taxes. Other states make it real painful. Today, the Small Business & Entrepreneurship Council (SBE Council) published “Small Business Tax Index 2015: Best to Worst State Tax Systems for Entrepreneurship and Small Business,” which ranks the 50 states according to the costs of their tax systems for entrepreneurship and small business. 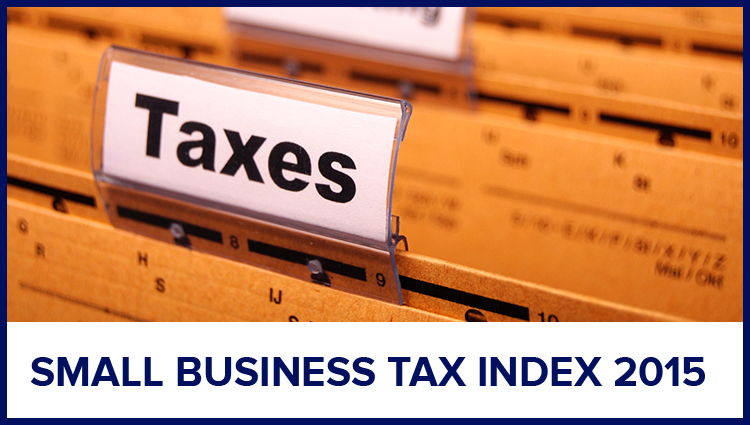 SBE Council’s Small Business Tax Index 2015 pulls together 23 different tax measures, and combines those into one tax score that allows the 50 states to be compared and ranked. Among the taxes included are income, capital gains, property, death, unemployment, and various consumption-based taxes, including state gas and diesel levies. Best Tax Systems: According to the Small Business Tax Index 2015, the 15 best state tax systems are: 1) South Dakota, 2) Nevada, 3) Texas, 4) Wyoming, 5) Washington, 6) Florida, 7) Alabama, 8) Colorado, 9) Ohio, 10) Alaska, 11) Arizona, 12) Indiana, 13) Michigan, 14) Utah, and 15) North Dakota. Worst Tax Systems: The 15 that fared the worst include: 36) Maryland, 37) Delaware, 38) Rhode Island, 39) Idaho, 40) Nebraska, 41) Connecticut, 42) Oregon, 43) Vermont, 44) Maine, 45) New York, 46) Iowa, 47) Hawaii, 48) Minnesota, 49) New Jersey, and 50) California. Get complete state rankings and read SBE Council’s Small Business Tax Index 2015, or visit the interactive map. SBE Council is a nonprofit advocacy, research and education organization that works to protect small business and promote entrepreneurship. For more than twenty years, SBE Council has worked to strengthen the ecosystem for startups and small business success. For more information visit www.sbecouncil.org. Follow on Twitter @SBECouncil.